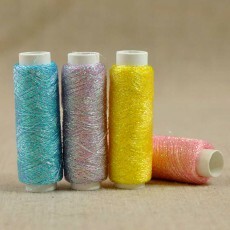 If you want to give a metallic sheen to your cross stitch work, the DMC thread is for you. Gold, silver or color, the effect will shimmer. This thread composed of six threads can be split according to the fineness of the work. The finest Balger thread, has a wider color range. 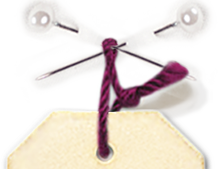 Consists of a single wire (not separable) this thread is reserved for the most delicate embroidery.